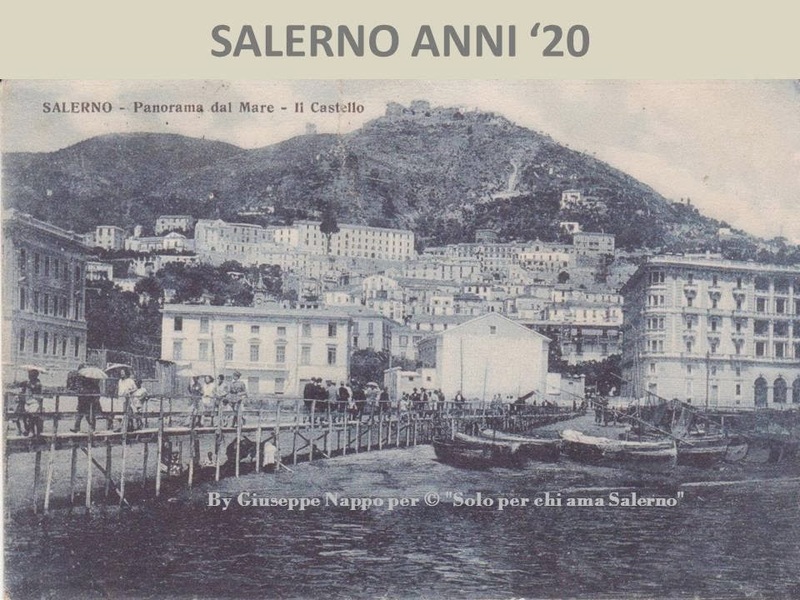 Today I’m beginning a series of posts dedicated to my beloved city of Salerno. 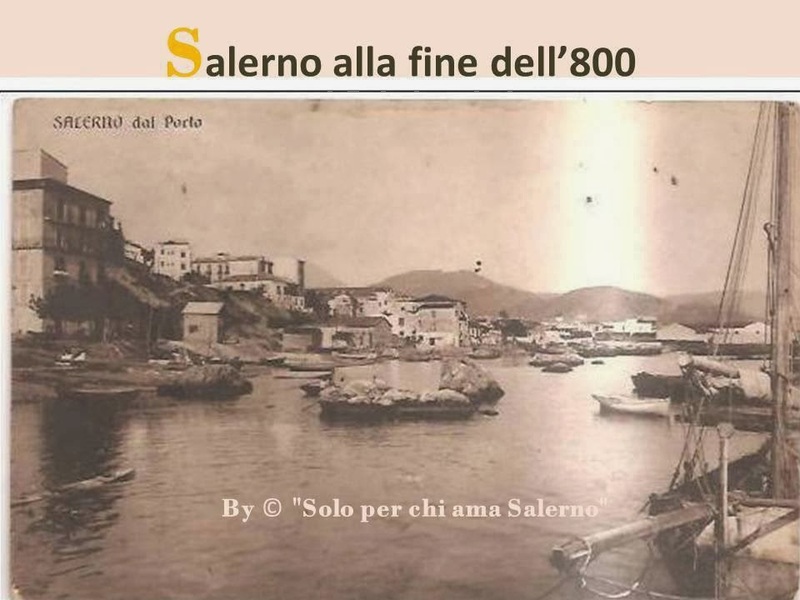 I think the best way to start is by sharing some photos that show Salerno of many years ago. 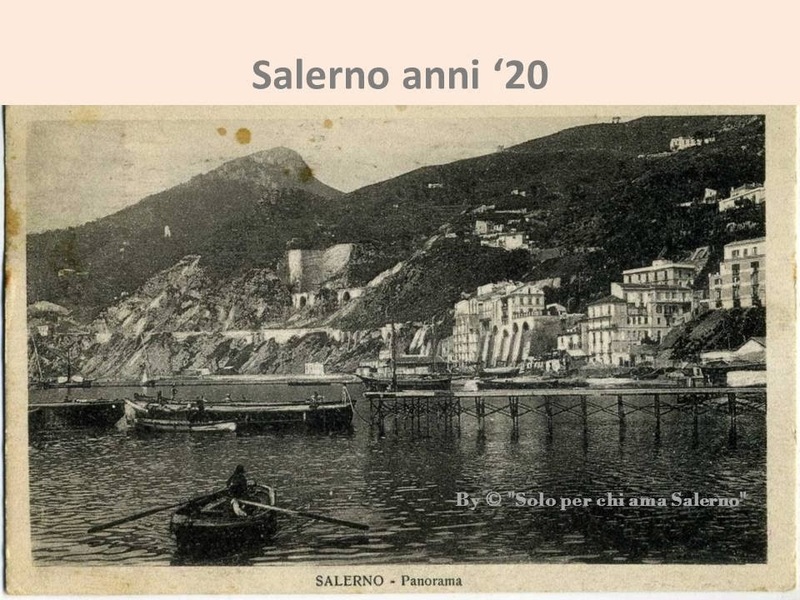 I’ve been able to do this thanks to the helpfulness of the administrator of the FB page Solo per chi ama Salerno, on which the wonderful shots of yesterday and today’s city are published. 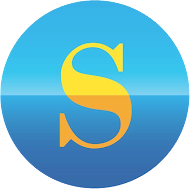 The photographs I’ve selected for this post are just some of the many shared every day on Solo per chi ama Salerno: if you want to admire all of them, you can visit the page. One of the oldest images is from the end of the nineteenth century. 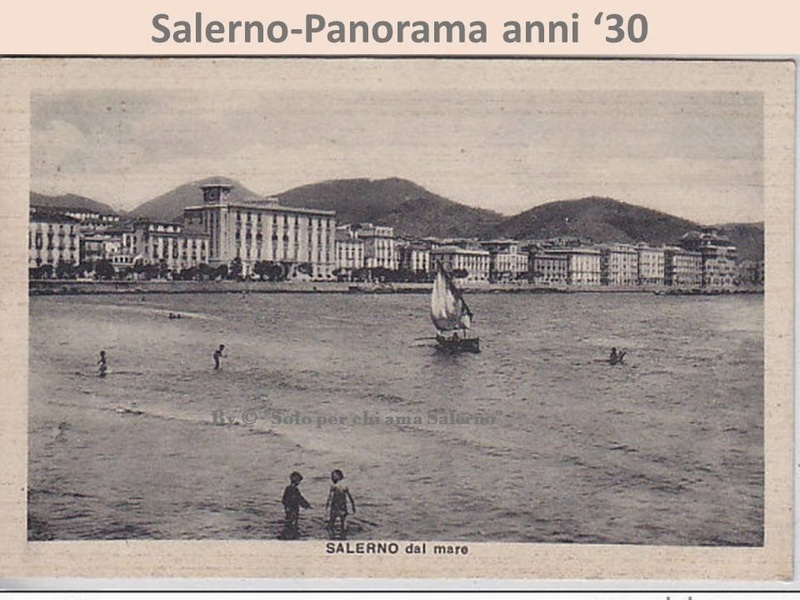 The beauty of Salerno and its sea was still totally unspoiled. 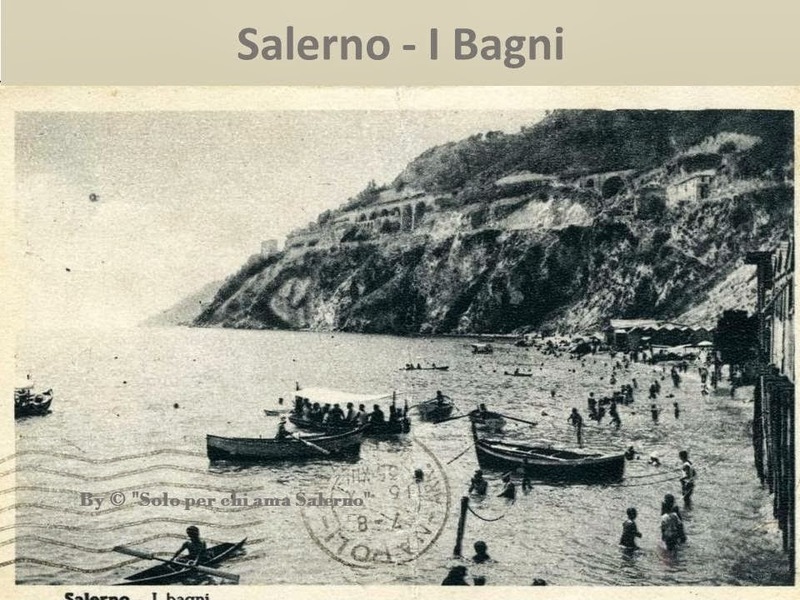 Among the photographs that impressed me most of all, there are those of the ancient beach resorts situated in Salerno in the port area . 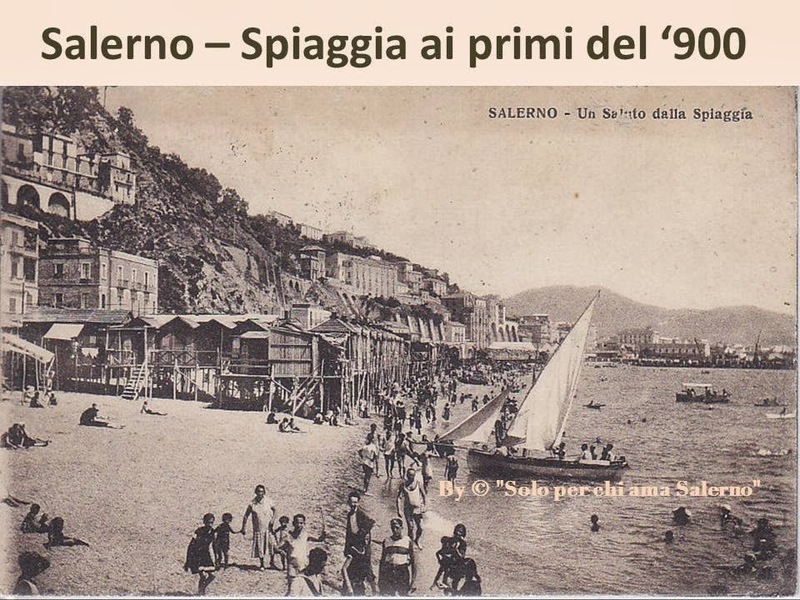 Then, as now, spending time on the beach was one of the passions of the people of Salerno. A walkway and a jetty are visible in these photographs of the 1920s. In the background of the first image you can see the Arechi Castle, a medieval fortress overlooking Salerno from the top of Mount Bonadies. Here's a shot of the city seen from the sea in the ‘30s, with a little old boat sailing past. 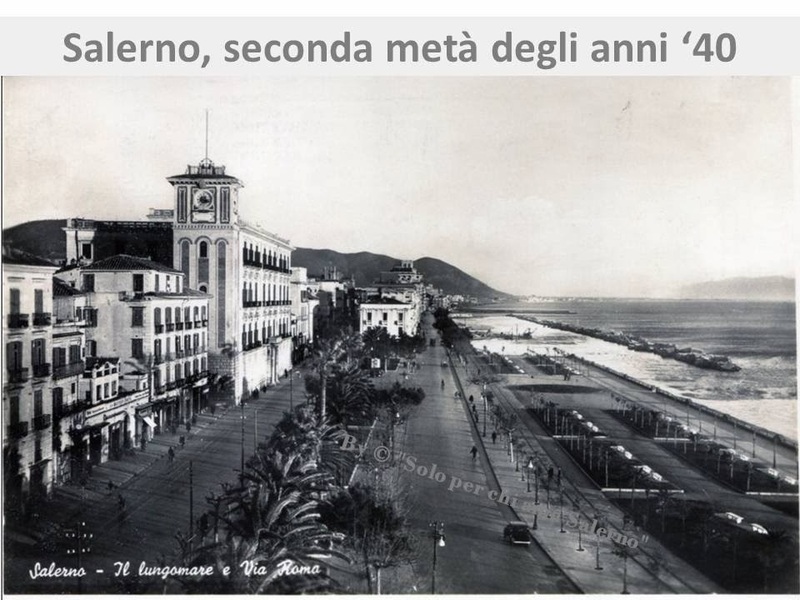 In the mid-40’s Salerno’s seafront, always one of the most popular places in the city for both citizens and tourists, looked like this. 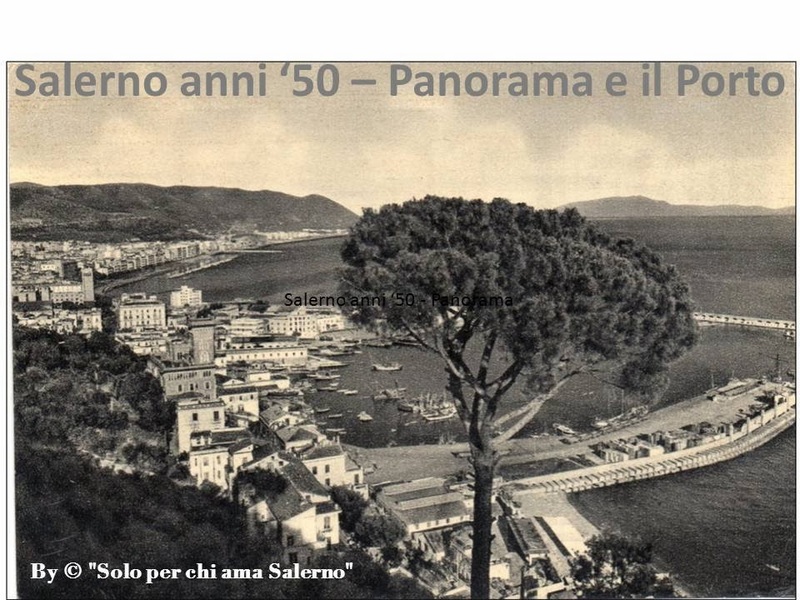 The panoramic photo of Salerno in the '50s is wonderful, with its distinctive maritime pine. 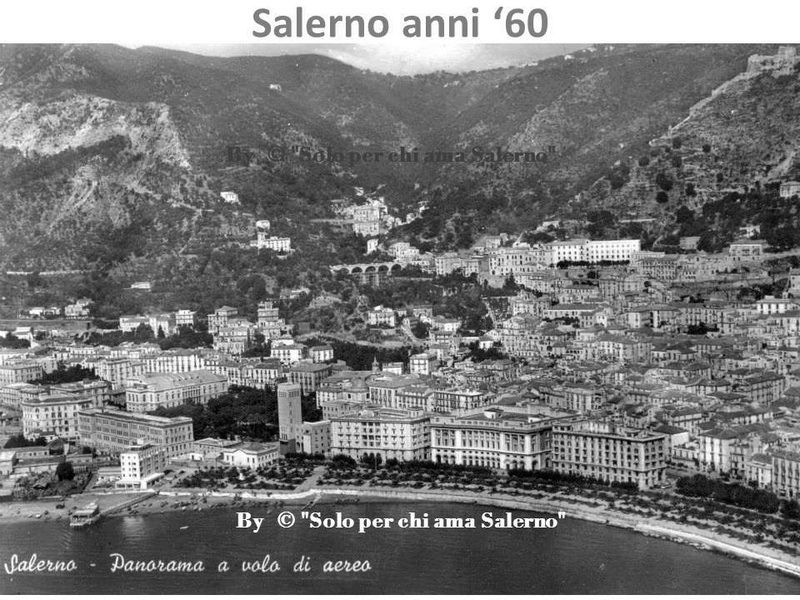 From the '60s, an aerial snapshot conveys the splendour of the city in those years, with the ancient buildings of the historic centre, the seafront and the beach. 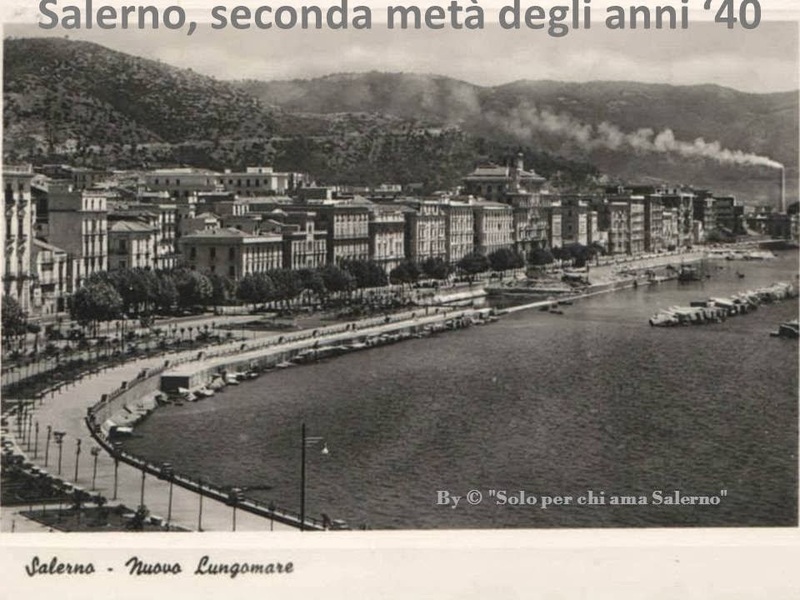 Salerno seaside city to love.